The Atmosphere-surface exchanges group has met several times since December 2013. The developing science questions from this group can be reference here. 1) What are the details of the mechanisms for transfer of energy and gases (chemicals? do we need to include aerosols?) from the surface to the atmosphere? 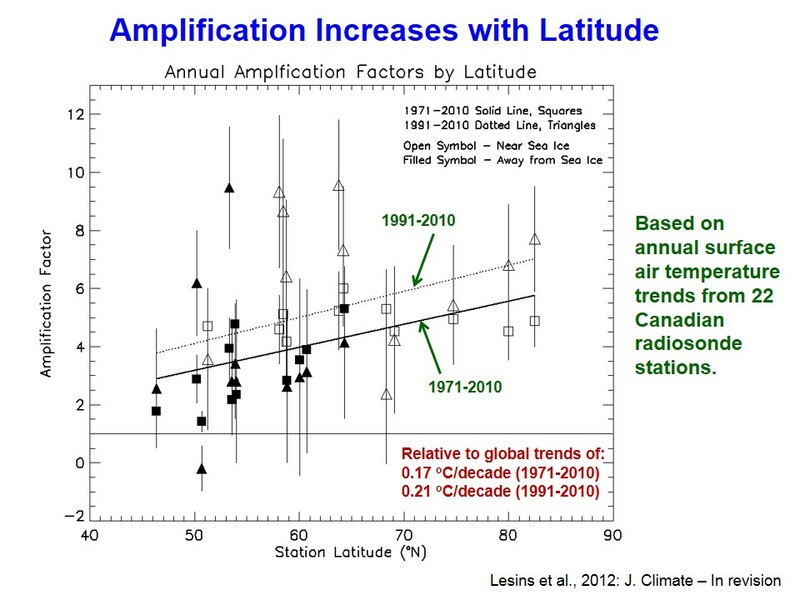 2) How are these influenced by wind, snow/ice/ocean/surface conditions, near-surface air temperatures, magnitude of any temperature inversions, etc? 3) What will be the effect of a warming Arctic and/or loss of sea and land ice/snow cover on the magnitude and seasonality of the exchange? 4) Is there a positive or negative feedback between warming and surface-atmosphere exchange (Note: it could be +ve for some exchanges and -ve for others)? Fig. 7 A simplified view of how the surface fluexes would change because of an increase in the downward net radiation at the surface. From Lesins, Glen, Thomas J. 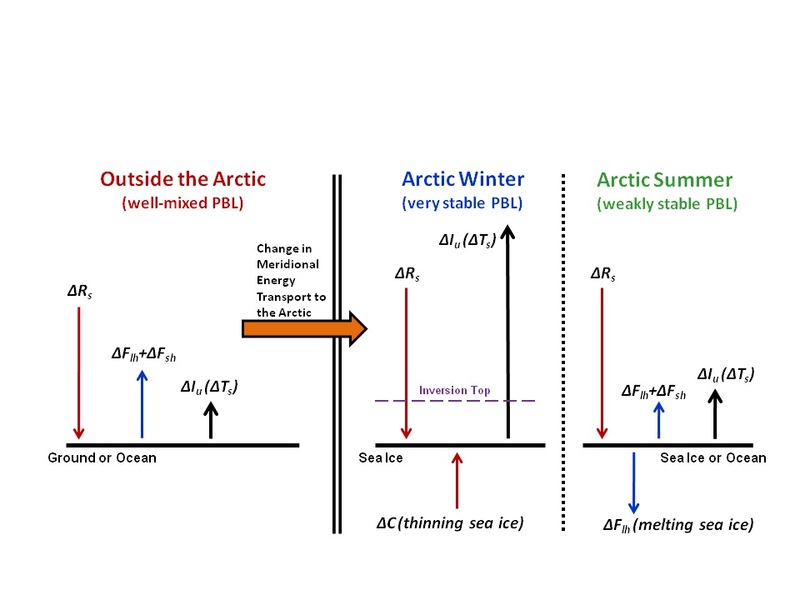 Duck, James R. Drummond, 2012: Surface Energy Balance Framework for Arctic Amplification of Climate Change. J. Climate, 25, 8277–8288.